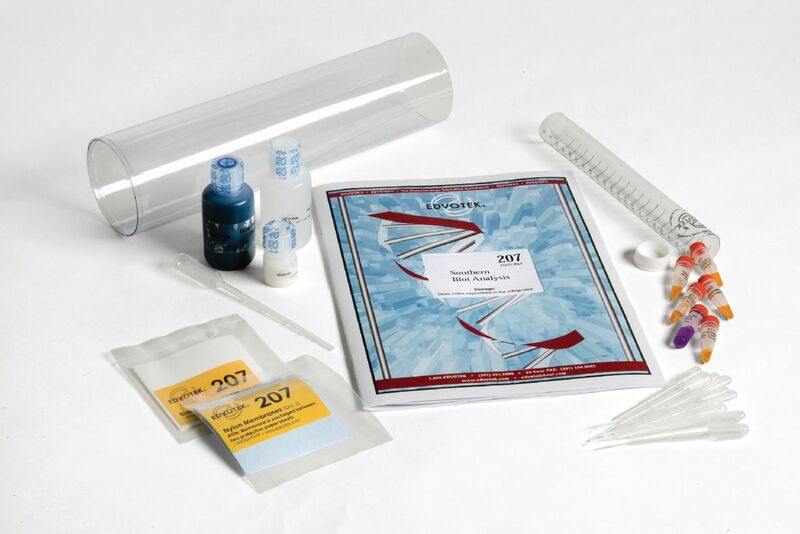 Introduce students to the procedures of gel-transfer hybridization, also known as Southern Blotting. Students use this technique to detect specific DNA fragments in a simulated paternity determination. DNA fragments are separated by agarose gel electrophoresis, transferred to a membrane and then visualized by staining. This experiment is safe and easy to perform, and does not use human DNA. Includes materials for five blots. Requires agarose electrophoresis chamber, power supply, and 10–20μL micropipets, available separately.